Many female solo travelers safely explore the world without any incident each year . However, when it comes to security, women travelers should be more cautious about unexpected events not to be affected by them. 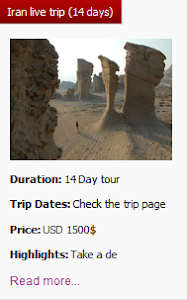 Whether you are a first-time solo traveler or a seasoned traveler, take recommendations of Uppersia, a local Iranian tour operator and exploring all the area has much to offer without facing any issue. Firstly, Iran, as an Islamic country, has different local laws and customs about women’s clothing and appearance by surfing the internet you can easily update yourself on these local customs and dress codes of Iran. For example, trying to be dressed like a local will prevent you from getting a lot of unwanted attention. Another important thing that you should pay attention as a solo female traveler, is to arrange a private transfer from the airport when you arrive, especially if you're arriving at night and write down the address of your hotel in local language and hand it to taxi drivers. Thirdly, it is wise to carry your passport, travel insurance and some extra cash in a well-concealed spot. Fourthly, the safety of public transportation varies from country to country. In Iran, informal taxis pose particular obstacles to people unfamiliar with the local conditions, especially to women traveling alone. Find out from reliable sources, such as local authorities or tourism officials, what is and is not safe. Finally, Iranian people are considered one of the most hospitable people of the world. But be cautious when sharing information about your plans and itinerary with strangers. 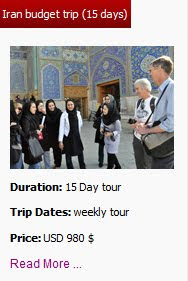 In summary, Iran is known to be one of the most hassle-free and safe countries for the travelers in the Middle East , whether women, men, or independent travelers. 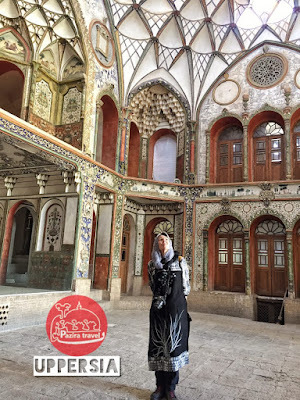 Why Behesht Zahra is worth visiting? 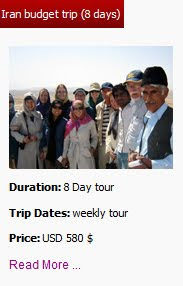 Carry on checklist for traveling to Iran. Carry on checklist to Iran. 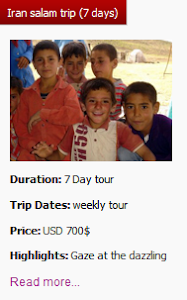 What to do in Khor o Biabanak Desert? 4 Reasons Why Zabol Is Worth Visiting.